“The Siege”, a brand new song from Swedish hard rockers EUROPE, can be streamed below. The track is taken from the band’s new album, “Walk The Earth”, which will be released on October 20 via the band’s own Hell & Back label through Silver Lining Music. The follow-up to 2015’s “War Of Kings” was laid down at London, England’s legendary Abbey Road studios and was produced by Dave Cobb, who also helmed the band’s last disc. 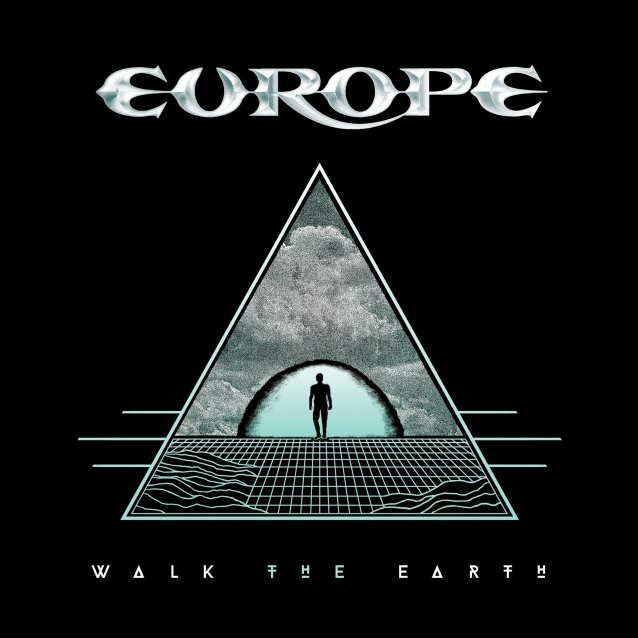 “War Of Kings” was the record that made the rock world realize what a formidable act EUROPE had become, then “Walk The Earth” is the album that is set to establish the band as one of the most exciting contemporary rock acts of current times. “We’re simply a different band today,” says lead singer Joey Tempest. “Ever since we started up again in 2004, we have constantly explored our limits and new parts of our musical universe. After around a thousand shows, we feel comfortable just improvising, jamming and pushing our lyrics and songwriting with much more ease. “We have now been together recording and making albums longer than the early period of the band. Five albums in the ’80s and ’90s. Now six records with ‘Walk The Earth’. “When we started up again in 2004, we all agreed to think ‘long term,’ to take the long road and build up a new relationship with listeners and media. We all agreed on writing together, owning our music, and license it out to labels that really care and support us in the long run. We also agreed to not look back! And never stop looking for that deeper expression. “We don’t have much in common with our contemporaries from back then. We have taken a different path, making sure we are constantly moving forward. We have little regard for outside influences and opinions. In order to enjoy this new journey and feel creative, it needed to be completely on our terms. “In a EUROPE live show, there is, of course, some room for nostalgia, but in the studio there is none. Every album is a reaction to the one before, a new journey a new adventure. “The music of a rock band needs to constantly move, challenge, upheave, evolve or the band will automatically become a nostalgia act. “We are proud of our past and previous albums, but we simply can’t identify, recapture, emulate any of it. We simply can’t write like that, even if we wanted to. We are a new act with a different expression. “Walk The Earth” features original artwork by famed Los Angeles artist Mike Sportes of Filth Mart. The official video for the “Walk The Earth” title track can be seen below. The clip was directed by Patric Ullaeus of Revolver Film Company, who has previously worked with DIMMU BORGIR, LACUNA COIL, IN FLAMES and KAMELOT, among others. EUROPE last year completed a short European tour during which the band played “The Final Countdown” album in its entirety to celebrate the LP’s thirtieth anniversary. A recording of the band’s “The Final Countdown” performance at London’s legendary Roundhouse was released on July 21. “War Of Kings” came out in March 2015 via UDR Music.